How To Crochet Vol. I. A Complete Beginners Guide with Step by Step instructions with Pictures! One of the Most Comprehensive Crochet books to Help Develop a Solid Crochet Foundation, with Tons of Pictures and Detail Diagrams! Also with a bonus chapter "On How to Start your own Crochet Business" you cannot miss out on!! This Book is highly recommended for those who are interested in learning, applying and making a profit with their spare time and effort. Crochet is a form of craftsmanship that enhances your creativity, gives a feeling of accomplishment, and makes your spare time productive. This book is a complete guideline to learn the art of crocheting with attractive images and simple instructions. Maybe you do not know, but crochet is one of the most sophisticated forms of craftsmanship and artwork for hundreds of years all over the world. If you are here to learn it, then treat yourself as a real artist and an aft worker. And the interesting thing is that anyone can do it very easily and comfortably with their availability. This means that you can do it in your free time daily. You can make it your hobby as well as a good profession. You can be your BOSS…ha ha ? Okay, we will tell you how you will make yourself your own BOSS by reading this book. In the following book, you will learn about what Crochet is, how to perform it, how many designs you can apply, following and creating new fashion and how to earn money by learning this. You will even learn how to expand your little, tiny crochet business into a giant company! I wrote this book because I believe I am a good friend of people who want to make their free time productive, meaningful and enjoyable. I like fueling your creativity in many delicate ways. Crochet is the such kind of way that derives your talent and interest in the most interesting way. So I assert the simplest ways and methods to learn it. Hopefully, you will enjoy it very much. 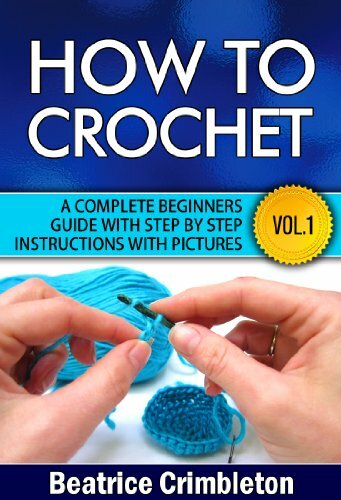 This book will provide you step by step instructions along with images which allow you to easily learn the crochet techniques. It is great guide book. What is Crochet?How to Crochet all of the Basic GarmentsCrochet Patterns: Medium and Advance LevelsAll the different types of YarnsDesign and Collection of Crochet, Patches and StitchesThe Different Types of weaves from Simple to ComplexAnd a Bonus chapter on How to Start your own Crochet BusinessAnd, much, much more! Take action today and download this book for a limited time discount of $2.99, Regular Price $6.99! A Discount at Ten Times the Price! Tags: Crochet: Crochet, Crochet Patterns, Books, Knitting, Sewing. Patches, stitches, Needles, swatches, Yarn.